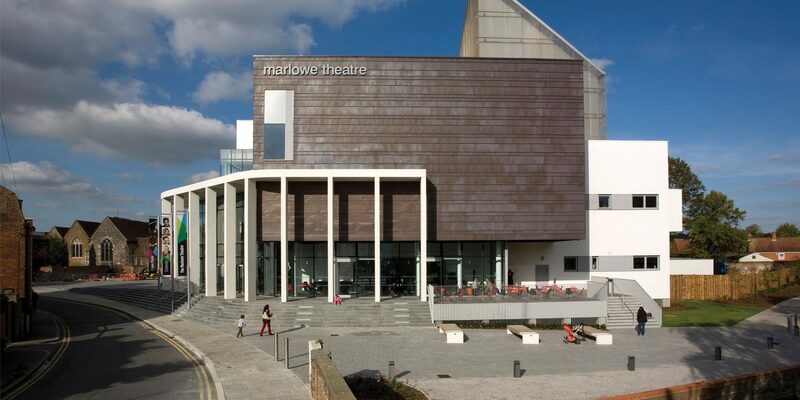 The Marlowe offers an exciting range of performances, events and creative activities across three spaces. We are one of the country’s most successful regional theatres. Since opening in 2011, we have welcomed the best touring productions and national companies to our stages. You can see the best in world-class performances in The Theatre; experience bold and challenging new theatre, music and comedy in The Studio; and celebrate Canterbury’s stories and storytellers in The Kit. Our Theatre brings world-class companies and performers to Canterbury throughout the year. Our Studio offers audiences an exciting and eclectic mix of theatre, gigs and comedy. Our drama programme features bold and challenging work by some of this country’s most exciting theatre artists. Theatre companies that regularly perform in The Studio include Paines Plough, Vamos Theatre Company and The Paper Birds Theatre Company. We also premiere our Made By The Marlowe productions in The Studio, giving you the chance to see new work that is made in Canterbury. If you’re looking for something that will inspire and surprise you, you will find it in The Studio. Housed in a wonderful twelfth century building on Stour Street, The Kit offers new and exciting ways to learn about Canterbury’s rich literary heritage. The Marlowe’s Escape Room: Marlowe’s Ghost – An immersive escape room experience themed around the life and death of Christopher Marlowe. Exhibition: Kent’s Remarkable Writers – An exhibition that celebrates the lives and works of Christopher Marlowe, Aphra Behn and Joseph Conrad. Performances – Intimate shows and performances in our atmospheric twelfth century Great Hall. Creative classes – Workshops for all ages, including The Marlowe Youth Company. The Marlowe Kit is a collaboration between The Marlowe and Canterbury City Council Museums and Galleries. Our programme is made possible by Pioneering Places, part of The Great Place scheme. Find out more about our exciting offer at The Kit. Your chance to glimpse behind-the-scenes. Our knowledgeable guides offer a fascinating tour of our theatre, including a look at all the backstage secrets that will give you a unique insight into the life of The Marlowe.